E-commerce is already worth $25.3 trillion - but are poor levels of consumer trust be holding it back? Online, there is a limit to both physical interaction and the opportunity to test the professionalism of a retailer or suppliers. According to one survey of 24,000 internet users in 24 countries, 22% said they never shop online - and of those, 49% gave lack of trust as the reason. E-commerce has become increasingly important over the past two decades. Some estimates suggest it is a $25.3 trillion - and growing - market. 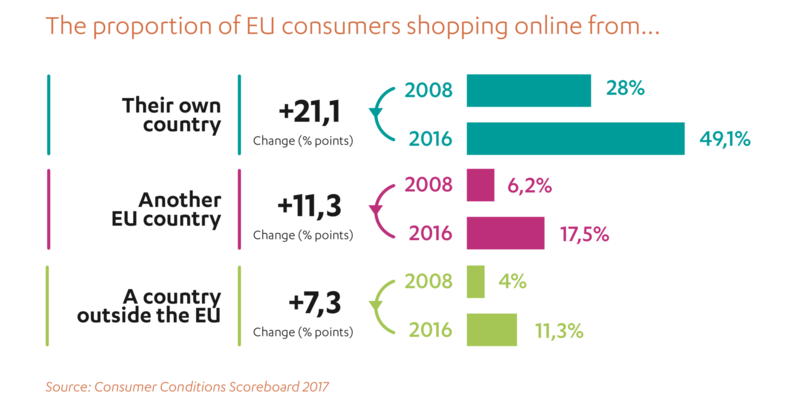 Yet for online retailers, going global and connecting to consumers in different countries remains a challenge. Cross-border e-commerce activity accounted for just 7% of total online B2C sales in 2015.